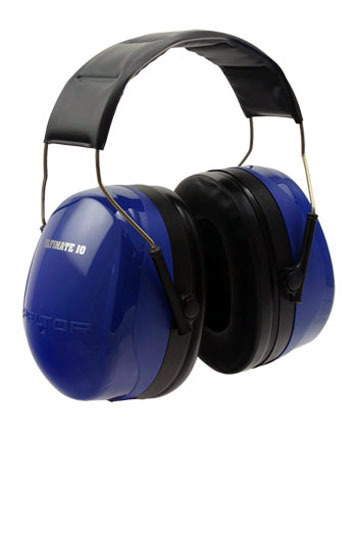 The Peltor Ultimate 10 is an excellent non-electronic option with a very high NRR rating of 30dB. Pivoting cups and padded headband provide for all day comfort at the range. Excellent for use with large caliber or magnum rounds.